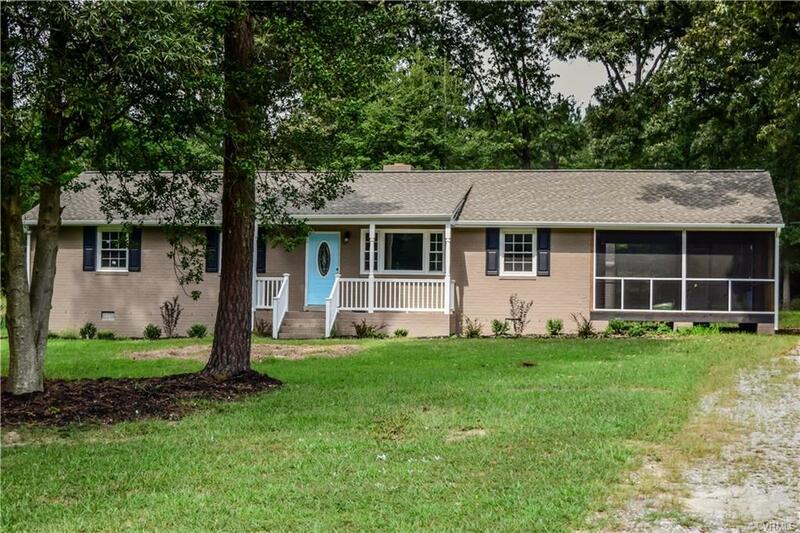 This home is like new and located in one of Varina's most sought after neighborhoods! All brick rancher offering three bedrooms, two full baths, one half bath, open family room open to the kitchen, brick fireplace, huge patio out back, huge screen porch, new heat pump, new roof, new windows, custom built cabinets, granite countertops in kitchen and bathroom, stainless steel appliances, new plumbing, new electrical, one car detached garage/workshop, all on one acre in Varina. Convenient location to Interstates 295 and 895, Virginia Capital Trail and less than 15 minutes to downtown Richmond!! !